For most consumers, getting a computer fixed is much like getting a car fixed. Most people are not familiar with technology terminology, so a sense of intimidation develops. Customers may also be reluctant to pay for a service when they don't really know what they're paying for. Some users may want to learn computer terminology. But here is a list of three questions that laymen can ask of a computer repair location. 1) Is service backed by a guarantee? If companies guarantee their service, they generally will do so for one to three months. Users may want to take their business elsewhere if the guarantee is less than that or if there is no guarantee at all. A company that does not stand behind its service should raise a red flag to a potential customer because he or she should not have to pay full price for an inadequate repair. Customers should read the fine print, especially on longer term guarantees, because there may be conditions or exceptions they are not aware of. 2) How much does your service cost? Computer repair companies generally charge hourly rates, which users should keep in mind if the repair is serious enough that it will require major work. As a general rule, users should keep a consistent line of communication open with the company. The repair company needs to know if a user needs his or her computer returned within a certain time frame. Computers cost a considerable amount of money to purchase, so users should be sure they are leaving their computers in experienced hands. Not only will this ensure a competent computer repair, but service should not take as long, which is important for customers who are paying hourly service rates. 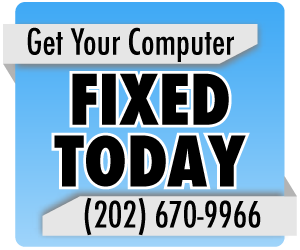 A Maryland computer repair professional should be able to answer these questions adequately and provide strong customer service. What’s the deal with sleep mode? New computer: Desktop or laptop?